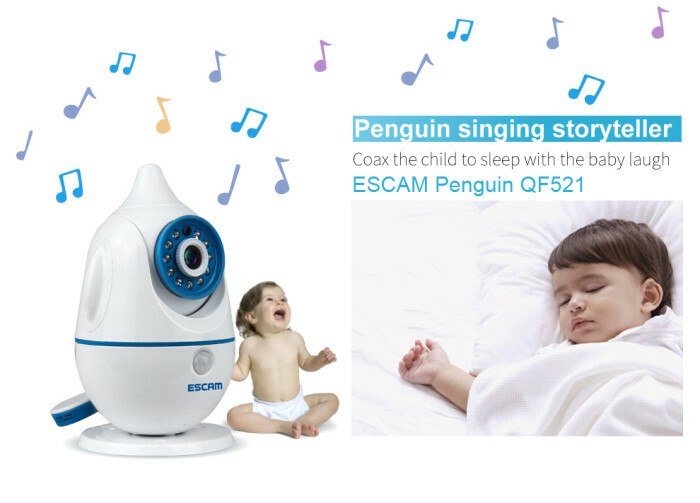 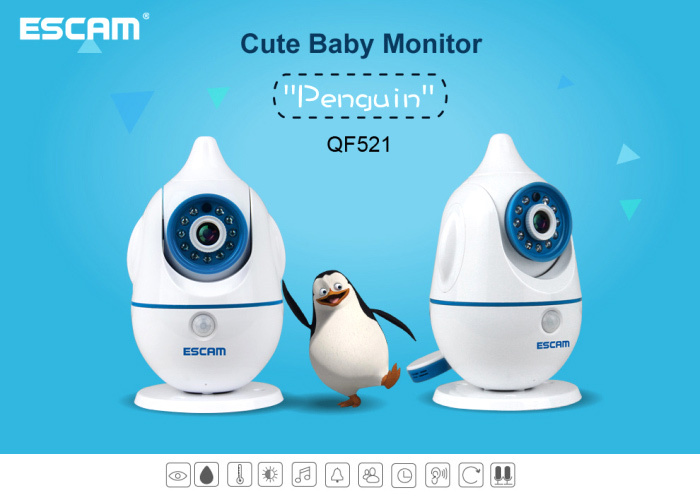 ESCAM Penguin QF521 1.0MP baby monitor features cartoon design and multi-function which can help you to take care of your baby in busy. 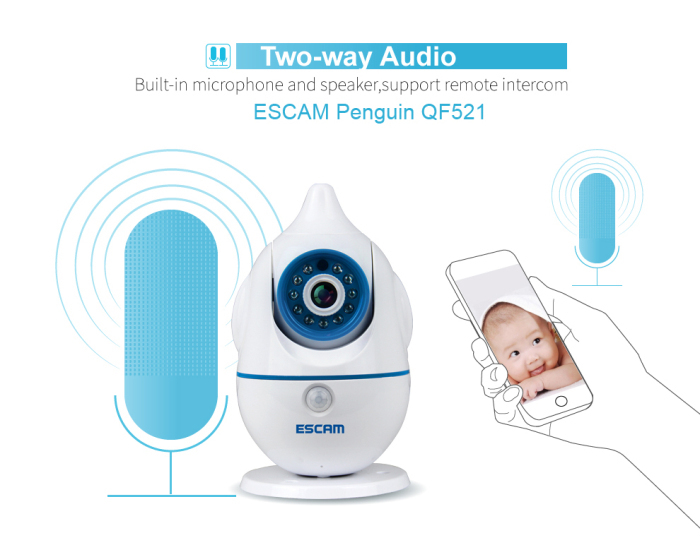 It built-in microphone and speaker for remote intercom, so that you can get a convenient communication. 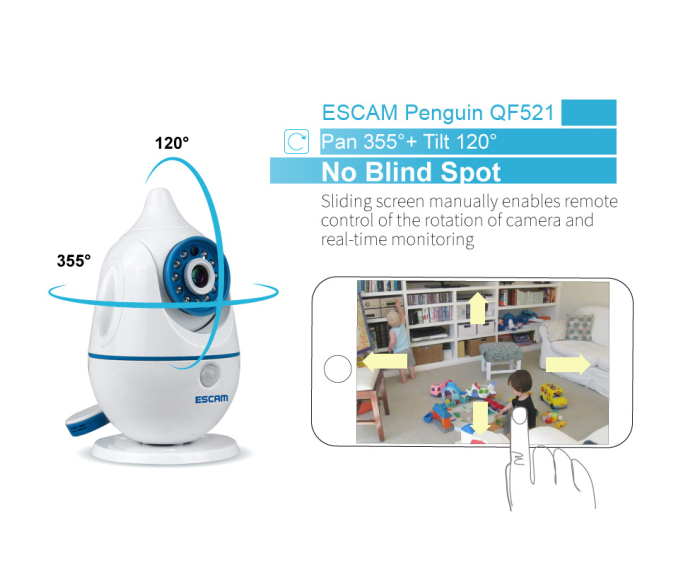 Pan / Tilt rotating design, you can slid the screen manually enables remote control of the rotation of camera and real-time monitoring, meanwhile, ensuring that there is no blind spot. 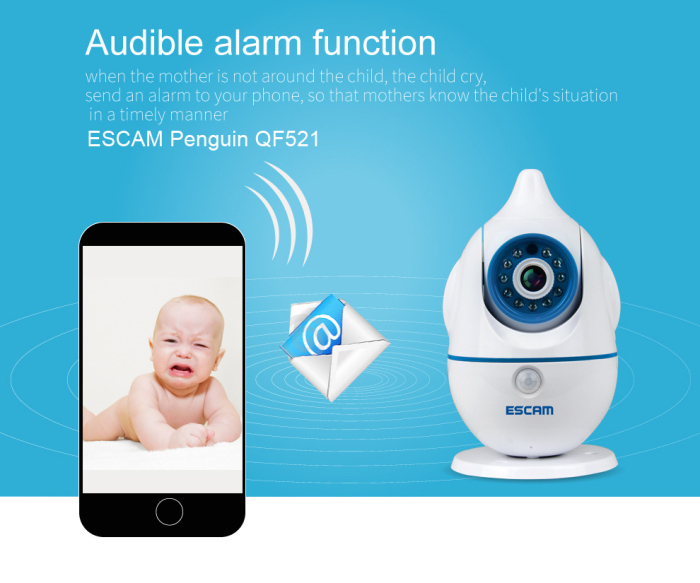 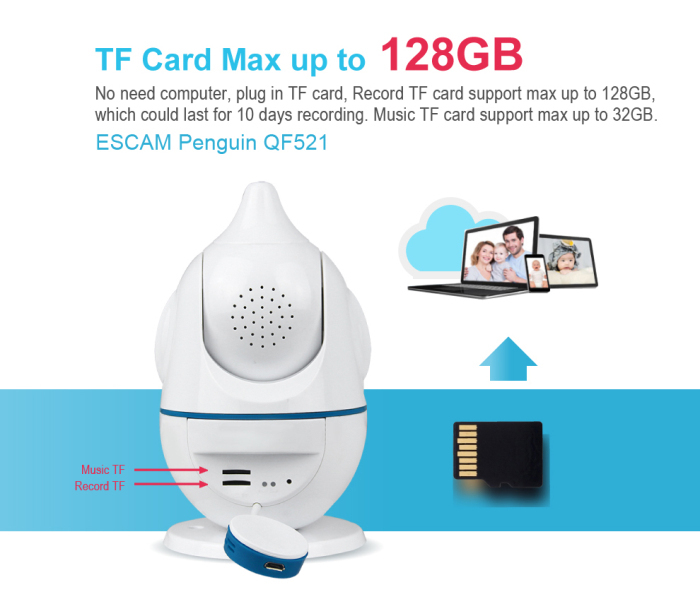 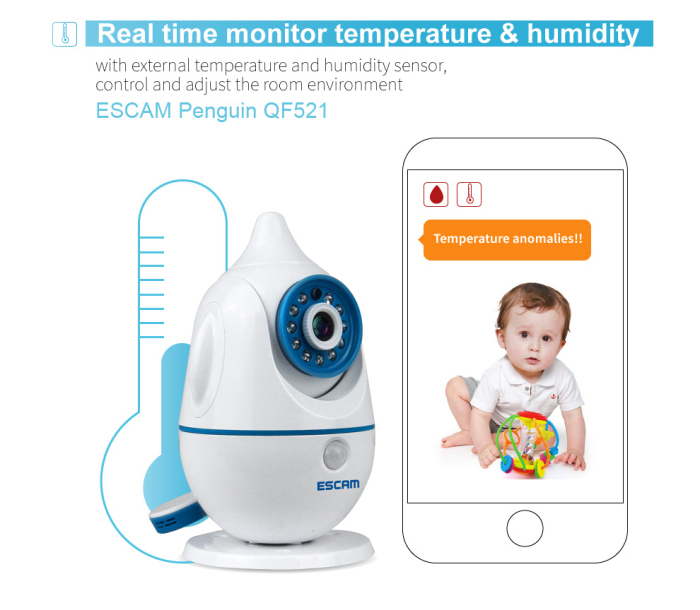 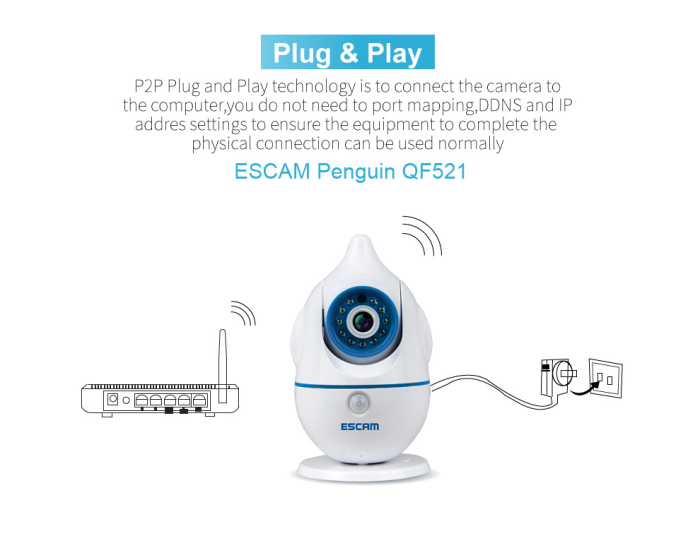 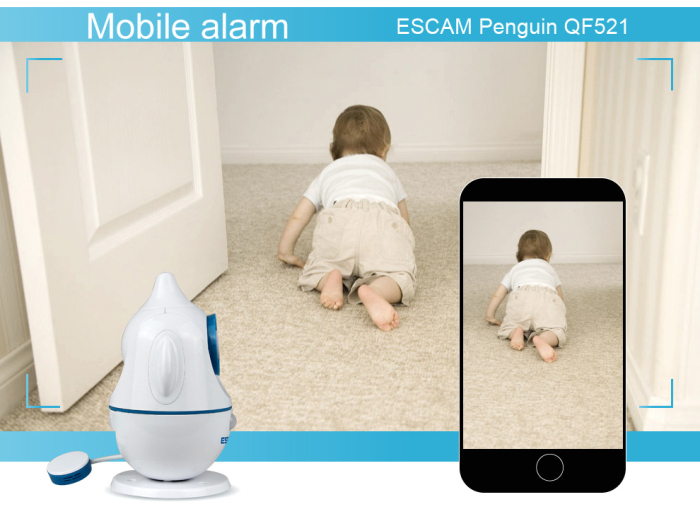 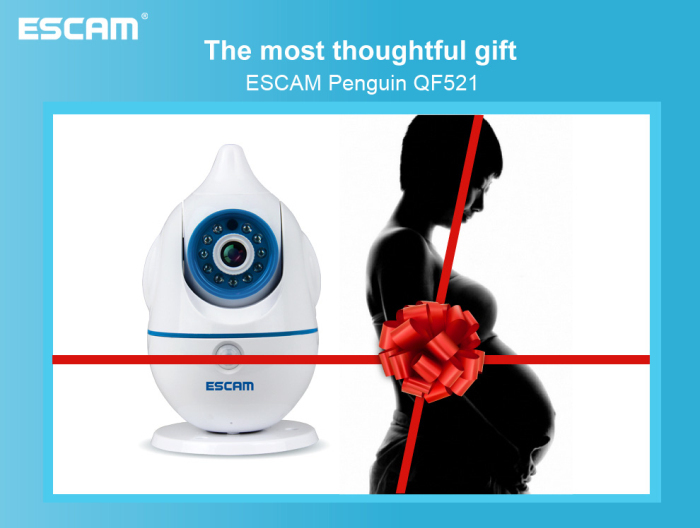 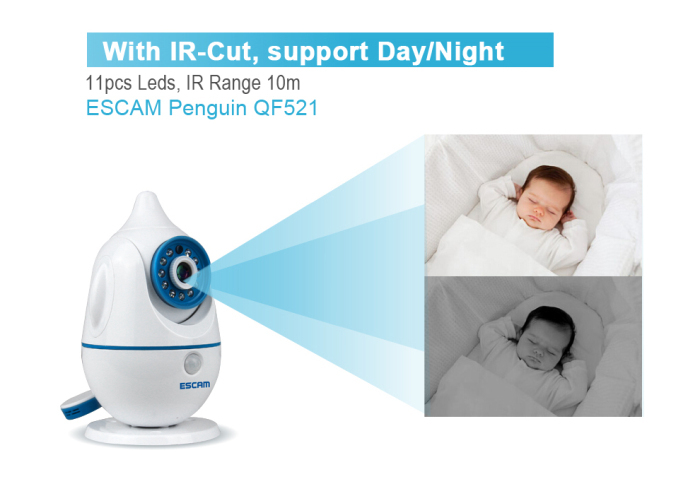 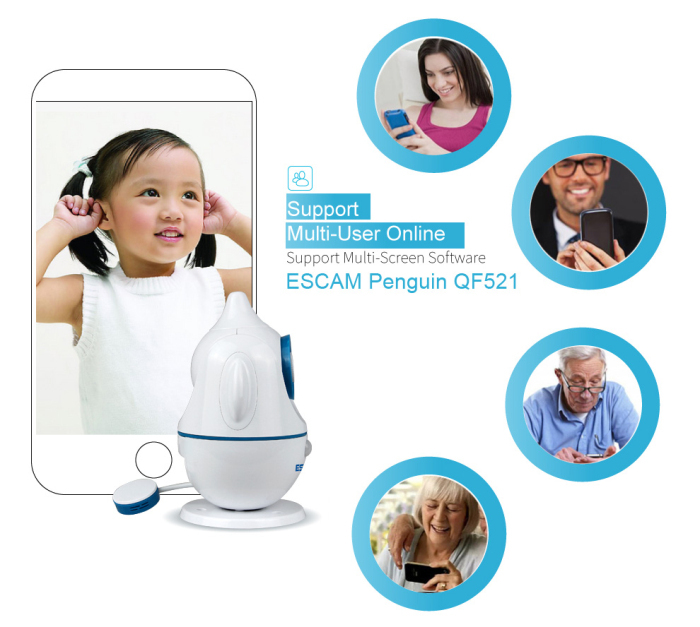 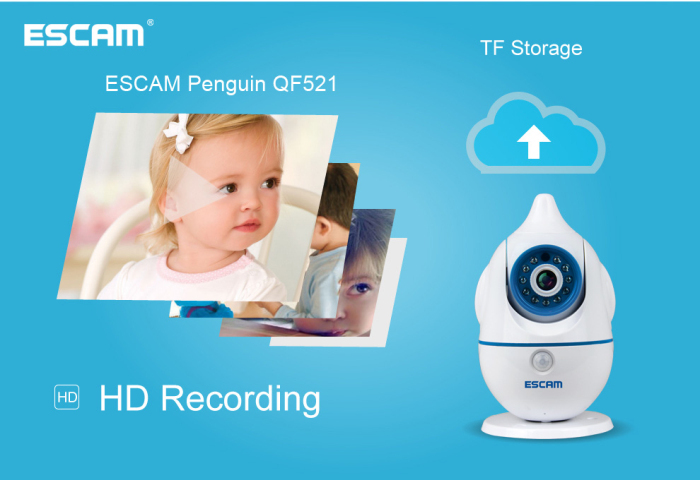 Just viewing your baby real time via your phone or tablet whenever and wherever with this ESCAM Penguin QF521 baby monitor.